What Types of Fur are Used Today? Fur from the North American raccoon is long-haired with dramatic grey and black markings. Because of the size and shape of the fur, it is often used for trimmings on fur coats including collars and cuffs. Mink is far and away one of the most popular types of fur used today. The most commonly farmed species, mink fur is dense, lightweight, and comes in a wide range of natural colors ranging from white and pearl to violet, sapphire, and even very dark brown. The chinchilla produces very soft and silky fur that is stunning to look at and even more luxurious to feel. Coloring includes black, white, and beige-white. Chinchilla fur is mainly used for small garments and trimming but can also be used for full-length coats and evening jackets. 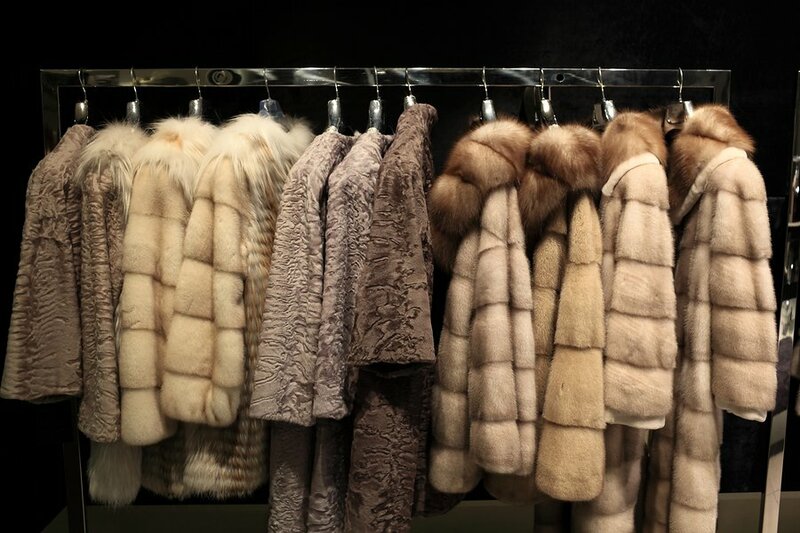 Sable is arguably one of the most valued furs used today. Fur enthusiasts seek out this exceptional fur for its lush rich color and deep, silky pelt. Sable fur ranges in color from deep, dark brown to pale yellow and gold. Also known as Persian lamb and Astrakhan, Karakul lamb is one of the oldest breeds of domesticated sheep in the world. Karakul lamb pelt is distinctive for its softness and lustrous wavy curls. The texture and coloring of this fur pelt make it ideal for full garments such as coats and skirts.